We're proud to be an accredited business with the Better Business Bureau! The BBB sets standards for ethical business behavior and monitors compliance. It helps consumers identify trustworthy businesses, and those that aren't, through more than 4 million BBB Business Reviews. It also sets standards for and evaluates thousands of advertisements each year to ensure that people can trust what advertisers say. Where There's a NEED, There's a LION Whenever a Lions club gets together, problems get smaller. And communities get better. That's because we help where help is needed - in our own communities and around the world - with unmatched integrity and energy. The World's Largest Service Club Organization Our 46,000 clubs and 1.4+ million members make us the world's largest service club organization. We're also one of the most effective. Our members do whatever is needed to help their local communities. Everywhere we work, we make friends. With children who need eyeglasses, with seniors who don't have enough to eat and with people we may never meet. The Foundation Supportworks network is the largest, most experienced and knowledgeable network of trusted foundation repair and concrete leveling contractors in North America. Only professionally trained contractors are trusted to provide the PolyLevel® solution. Dealership owners and employees are trained at one of our two training facilities in Omaha, Nebraska and Seymour, Connecticut. The strength of independent dealerships spanning coast to coast results in research and best practices in concrete lifting. PolyLevel® leads with professional training, industry research and sharing best practices within the industry. What This Means for You: You can rest assured that you will get a quality, safe, long-term solution for your concrete leveling needs. The Small Business Development Center helps small and growing businesses develop a solid plan for the future. Legacy Supportworks, Inc is supported by professional business consulting, training, and research in all areas of business management and finance. We are a proud Welcome Pardner Sponsor. Welcome Pardner!, since 1981, is about service to others. Our site is hosted by 887 Media and together, we work to keep our community served as efficiently as possible. Please note our great sponsors! Weekdays, we post a FREE Community News E-blast. Our Heavenly Father owns Welcome Pardner!, and we have a Daily Bible Verse on our site. The Legacy Supportworks team is proud to be a supporter of the DreamCourts initiative. DreamCourts works to build basketball courts in underprivileged communities and provide children with a fun and safe environment to play. Snack Pak 4 Kids helps to support and provide food for over 6,500 students in the Texas Panhandle and South Plains areas. 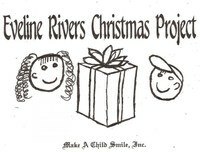 The Eveline Rivers Christmas Project is a non-profit organization that helps to educate and supply basic childhood needs to economically disadvantaged children every Christmas and Winter season. The Legacy Supportworks team is so proud to volunteer and support such an amazing cause. The Amarillo Chamber of Commerce was established in May of 1926 to be the leader for the improvement of the economy of Amarillo. Legacy Supportworks has been a member of the Amarillo Chamber of Commerce since 2015. 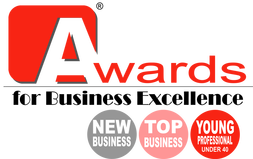 Nominated and Voted as a Top Emerging Business in Amarillo for 2017!